…is an ancient art, science, and philosophy that emphasizes performing one’s daily responsibilities with awareness, integrity, and compassion. From Sanskrit, the word “yoga” translates as union of the mind, body, and spirit. For many, that includes an ongoing practice of yoga postures. Working through the instrument of the body, yoga teaches one to observe and integrate body, breath and mind, to penetrate beyond the outer, physical layers and reach the inner sheaths of one’s being. The method of study is orderly and progressive with an emphasis on precision and form in order to maintain balance between flexibility, strength and relaxation. This precision builds strength and stamina, increases flexibility, and reduces the effects of stress. It improves balance, circulation, concentration and the ability to relax. 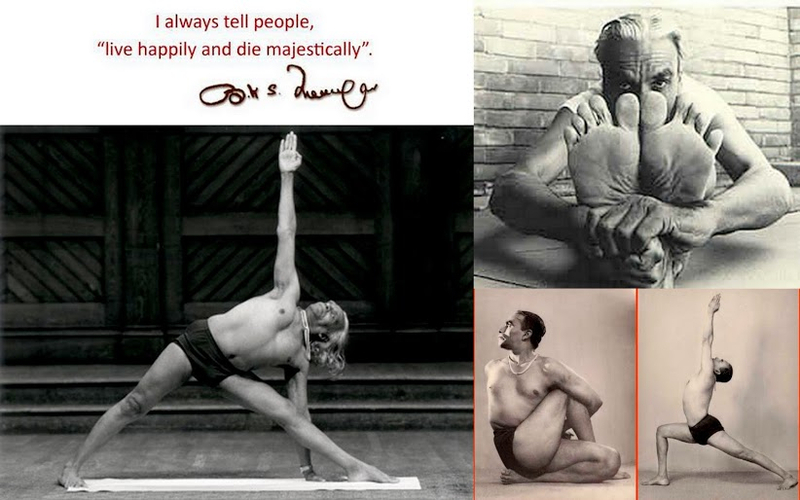 Mr. Iyengar’s development of yoga props revolutionized yoga teaching and is now used in yoga classes of all styles. Iyengar teachers are well known for their skillful use of props that enables everyone regardless of age, strength, or flexibility to benefit from the study and practice of yoga. Iyengar Yoga teachers must train for years and pass rigorous assessments to receive certifications to teach. They can work effectively with students of all ages and physical abilities, modifying the yoga asanas (postures) so that all students may practice yoga safely. In over 40 years of taking yoga instruction from 11 different yoga teachers, your instruction is superior to any we have previously experienced. Marquita says it has enabled Warren to get rid of the hump in his back!